The hit combo of Surya and Hari is back along with Anushka. Singam team is back to work for one more film together. Director Hari said “I’m happy to work with Surya again and eagerly waiting to start our new project.” But the director has not confirmed whether the film is a sequel to Singam. It is touted that this untitled movie will be remade in Bollywood starring Ajay Devgan. Director Hari’s yet-to-be-titled movie casts Santhanam for the comic role while Surya and Anushka will be shaking legs for the tracks composed by Devi Sri Prasad. 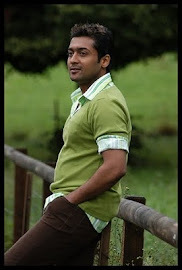 Surya is presently busy with the film Maatraan with Kajal Agarwal as his love interest, whereas Anushka is busy with back to back movies in Kollywood and Tollywood. Some of the decisions that are made for consecutive movie projects that are being scheduled for same actors included in it.